K.P., 18 Dec 2013My phone always show 'no left memory. 'But i have nothing for delete.what i do?I have also got nokia asha 305 as i love nokia phones due to its durability. 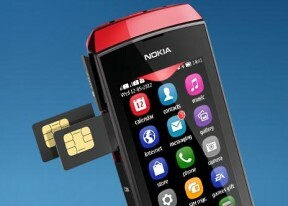 But while purchasing this phone i haven't seen that it has only 10mb internal memory and could not understand how foolish nokia people has given such a low phone memory. So answer is that open your phone and delete all application which you can. My phone always show 'no left memory. 'But i have nothing for delete.what i do? when is the next updated version going to be launched..? Video Recording also bad Quality. i dont like this phone..
harris, 07 May 2013how to download whatsapp in asha 305 While using Whatsapp , I always stuck up with phone memory problem . I can pass messages but text only ..images and vdo can not pass ..
babumudi@ovi.com, 28 Jul 2013I love phone all program but 07.42v update was cannot supported high quality video. plez supportright,how the solution???? but how,my asha 305 fast time update,then full screen video not are play just audio after update,image are io sort,i am download the video youtube downloder-keepvid.com(240p).i back my old update,how??? ?